Frank DeVol is unquestionably one of the all-time greatest influences on the sound of pop music as we know it. He was an Academy Award nominated composer, he wrote and arranged songs that topped the pop charts in the 1940s, 1950s and 1960s. He was a motivational speaker, conductor, musician, TV bandleader, actor, and even acted as a TV bandleader. His influence echoes across movie and tv screens to this day, yet many Americans have no idea who Frank DeVol was. Purists may argue that a music arranger known for movies and tv soundtracks has no place in the pantheon of popular song. OK, let’s assume they’re correct. Even if we were to completely disregard DeVol’s television and movie work, his arrangements for artists like Nat King Cole, Tony Bennett, Ella Fitzgerald, Vic Damone and Dinah Shore alone are enough to cement his place in history. In 1948 DeVol arranged a unique score for Nat King Cole of an old standard called “Nature Boy.” The string sounds perfectly complemented Cole’s vocal styling of the song, and propelled it to the top of charts. This established DeVol as one of the great arrangers of popular song. As a composer, DeVol wrote three songs that are regarded as classics from the great American songbook. The first was — gasp — a TV theme, from My Three Sons. This captivating song was actually a rather complex composition that subtly combined two melodies into one, demonstrating DeVol’s musical chops. The song was a modest chart hit in 1961. The second was “Hush, Hush Sweet Charlotte,” from the motion picture of the same name, and performed by Patti Page. This 1965 song was the top adult contemporary or easy listening song in some regions, and peaked at #2 nationally. It also reached #8 on the pop charts nationally, which is astounding considering that the pop charts were dominated by groups like The Beatles, Herman’s Hermits, The Beach Boys, Gary Lewis & The Playboys, The Byrds, The Supremes, and The Rolling Stones. DeVol’s third successful chart hit was “The Happening,” also from the motion picture of the same name. With a slight reworking by the Motown team of Lamont Dozier and brothers Brian Holland and Edward Holland, Jr.. Recorded by Diana Ross and the Supremes, “The Happening” topped the pop charts in 1967. Despite these arranging and composing achievements, the Frank DeVol song that resonates with most Americans is the TV theme from The Brady Bunch. Musicologists don’t take this little ditty very seriously, but then again, as a TV theme DeVol didn’t intend for it to be taken seriously. DeVol recognized and understood the medium for what it was, and understood that the music had to work accordingly. Few composers could grasp this the way Frank DeVol did, and like it or not, that is why he has his place in the pantheon of American Popular Song. DeVol had a knack for developing themes and soundtracks that managed to set the tone perfectly for television and radio. His orchestrations for variety shows created a sense that something special was happening…an event, a big show, something not to be missed. On the other hand, music for shows like The Brady Bunch, were simpler, but also created a sense of something out of the ordinary: Fun, escapist, light, easy entertainment. His composition for My Three Sons, was more complex; we can assume that DeVol had a complex household in mind as he created the tune. Movie soundtracks also ran the gamut of styles as needed. DeVol was nominated for an Academy Award four times, the last being Guess Who’s Coming To Dinner. From the delicate music of that motion picture to the zaniness of Herbie Goes Bananas, DeVol composed for virtually every conceivable film genre. No article about Frank DeVol would be complete without mentioning his acting roles from the late 1960s through the early 1980s. He made guest appearances on such fluff as I Dream of Jeannie and Love Boat. 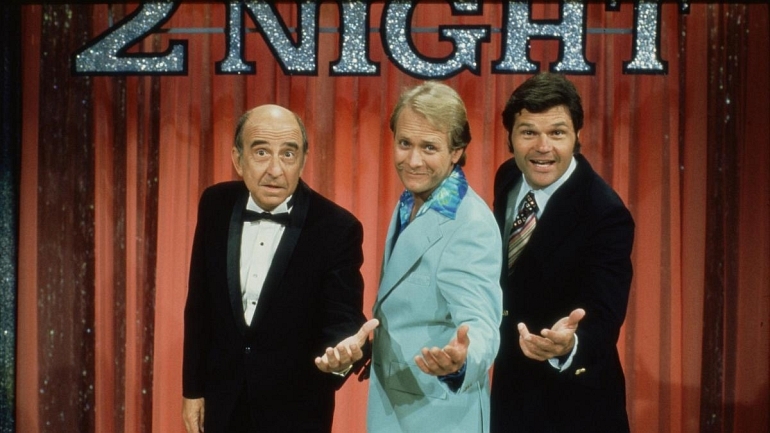 His most critically-acclaimed role, and perhaps most enduring, was that of wacky bandleader Happy Kyne on Fernwood 2Nite, the Martin Mull/Fred Willard vehicle that spoofed local talk shows. DeVol played the role with deadpan humor that was so stunningly realistic, it was only when he ventured into the absurd that viewers realized that his performance was a put-on. To viewers who remembered Frank DeVol’s leadership of orchestras for the likes of Rosemary Clooney, it was inconceivable to watch him work arrangements for send-up acts like “Baby Irene.” Using a handful of extremely accomplished musicians, DeVol created slightly off-kilter theme music and song arrangements that were performed flawlessly, and thus the band appeared to be quite inept. His acting talent was never more apparent than this deadpan comedy role. Although DeVol was the premier arranger/conductor on variety shows in the 1950s and 60s and created the “soundtrack” for three generations of TV viewers, this hilarious send-up of his own profession demonstrates that he didn’t take himself too seriously. 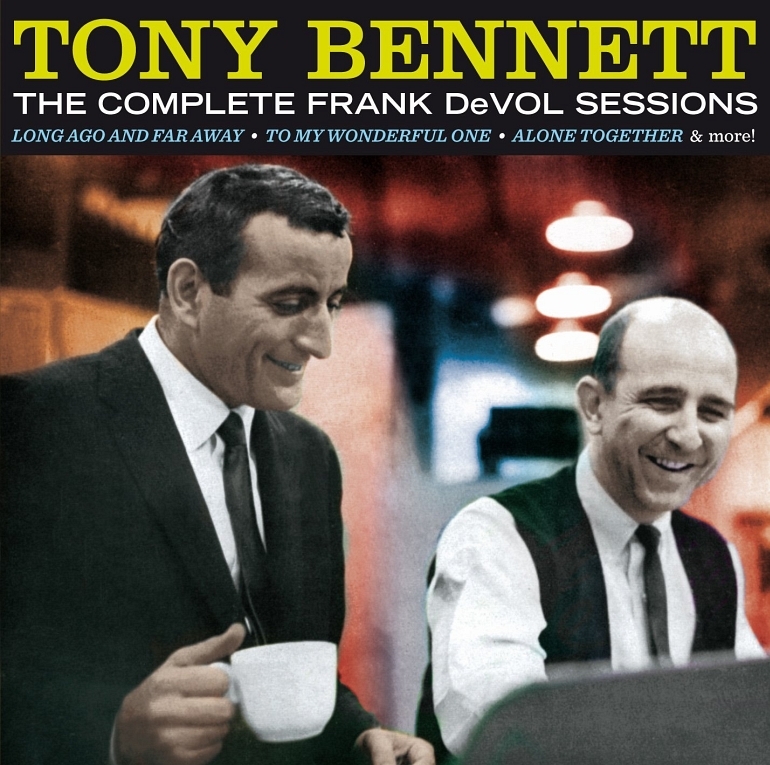 So how then do we reconcile the work of Frank DeVol with the Great American Songbook? His contribution and career ran from the sublime (Nature Boy) to the ridiculous (Fernwood) and covered a lot of ground in between. While DeVol was not a composer the caliber of a George Gershwin or a Jerome Kern, he did as much to influence the sound of pop music as any of the greats, through his arrangements, and television and movie scores. Like it or not, television has been the most influential medium in American culture since 1950. While American popular song may be the “sound” of American culture, television has provided its images. The connection is undeniable. It may not be as desirable as the age when popular song was dictated by big bands, nightclubs, show theatres and Broadway musicals, but it is the medium of the past half century. And it was Frank DeVol who set the tone for the first 30 years of its soundtrack.